This group of Brazilian jazz virtuosos has put together set of Brazilian jazz compositions inspired by the theme “REUNION”. Although Chico Pinheiro, Tiago Costa, Edu Ribeiro and Felipe Salles share a history of early development as musicians in Brazil, having studied and played together over twenty years ago, before their professional careers, they have never collaborated on a recording project before. During the course of the last two decades, these artists have proven to be some of the most influential in the current Brazilian music scene as composers, arrangers, and performers. A native of São Paulo, Chico is a leader in the new generation of Brazilian musicians finding fame in America and around the world. He has recorded with major Brazilian and American jazz and popular artists including Dianne Reeves, Bob Mintzer, Chris Potter, Eddie Gomez, Claudio Roditi, Brad Mehldau and Esperanza Spalding. Also from São Paulo, Tiago Costa has been the pianist, arranger and producer of international Brazilian star and two-time Latin Grammy winner singer Maria Rita for many years. He also co-leads the ensemble Vento em Madeira and is an arranger for Orquestra Jazz Sinfônica. A native of São Paulo, Brazil, Felipe Salles has been an active musician in the US since 1995, working with prominent jazz and Latin artists like Randy Brecker, David Liebman, Lionel Loueke, Jerry Bergonzi, Jovino Santos Neto, Luciana Souza, Daniela Mercury, Paulo Moura and Wagner Tiso. He has toured Europe, North and South Americas, India and Australia, as a sideman and a bandleader. Salles is a winner of the 2015 NALAC Fund for the Arts Grant, 2009-2010 French American Jazz Exchange and 2005-2006 Chamber Music America New Works grants, and has had works performed by The Metropole Orchestra, Cayuga Chamber Orchestra, and Meta4 String Quartet, among others. Bassist, composer, from Campinas, São Paulo, Brazil, Bruno Migotto has played with the most important names of the Brazilian music scene – Wilson das Neves, Nenê, Arismar do Espírito Santo, Claudio Roditi, Alexandre Mihanovich, Roberto Sion, Hector Costita, Victor Biglione, among others. 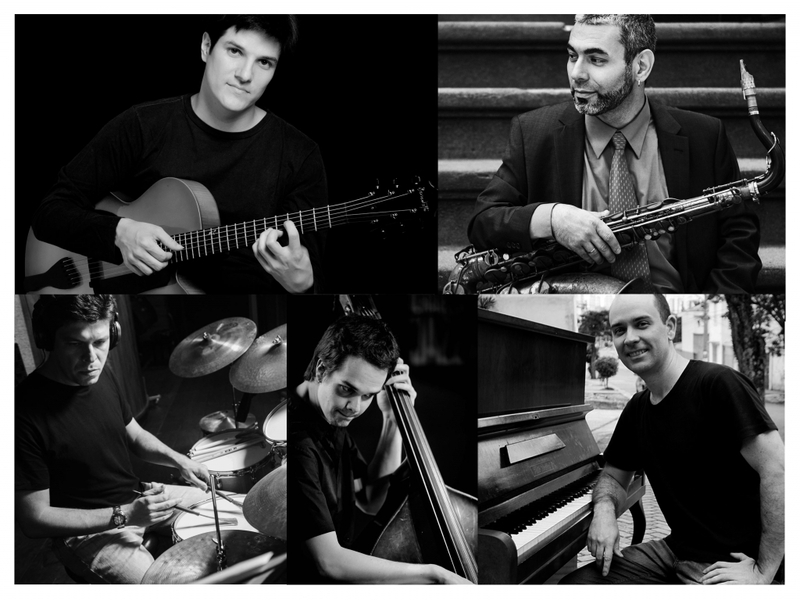 International jazz artist collaborations include Sadao Watanabe, Mike Moreno, Steve Cardenas, John Escreet, Otmaro Ruiz, Ohad Talmor, and Oscar Giunta. Bruno is a member of the Soundscape Big Band, Trio Ciclos, Projeto Unknown, as well as working with renowned Brazilian jazz artists Michel Leme, Daniel D’Alcântara, Yaniel Matos, Alessandro Pennezzi, and Alex Buck. Edu Ribeiro, a multi-Grammy award winner, is one of the most important and in-demand drummers of his generation.